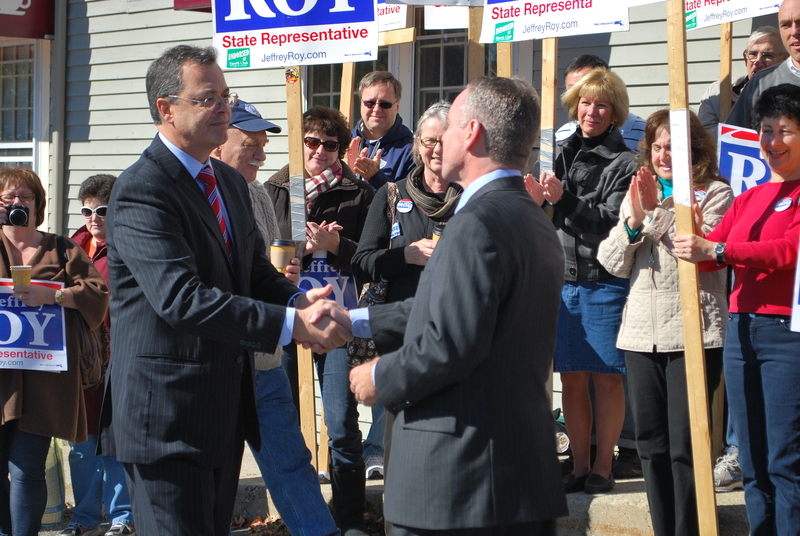 State Sen. Karen Spilka today endorsed Jeffrey Roy to be the next State Representative for Franklin and Medway, declaring that Roy’s public service “has made a significant difference” on behalf of citizens of Franklin, and predicting that he will be a “highly effective advocate” for the residents and businesses in Franklin and Medway. You can view the video of Senator Spilka’s remarks by clicking here. 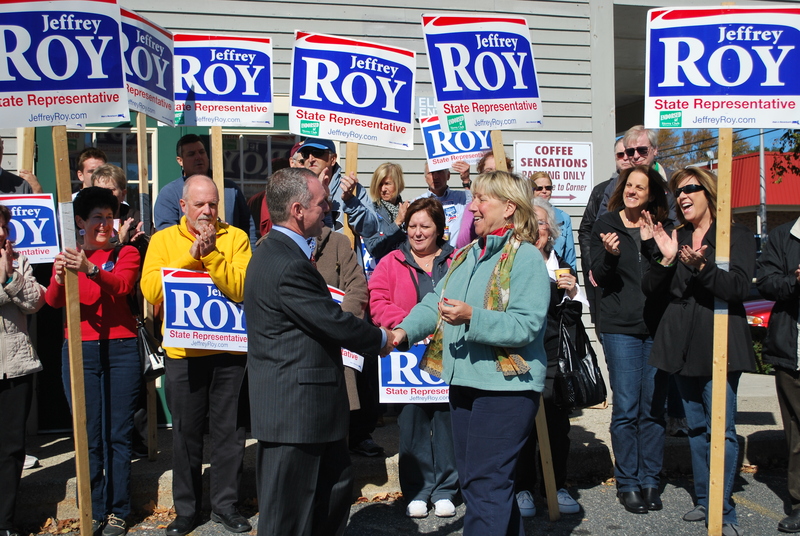 Senator Spilka endorsed Roy at an event at Coffee Sensations in Medway. In January, she was appointed by Senate President Therese Murray to serve as Assistant Majority Whip in the State Senate. She co-chaired the Commonwealth’s Job Creation Commission, which released its final report last week. Peter Padula also lent his support and endorsement to the campaign, recognizing the hard and clean race for the Democratic nomination. He noted that Jeff is in “great shape” to represent Franklin and Medway, and that he was here to support Jeff and help him win in November. You can view Padula’s remarks by clicking here. A heartfelt thanks go out to Senator Spilka and Attorney Padula.